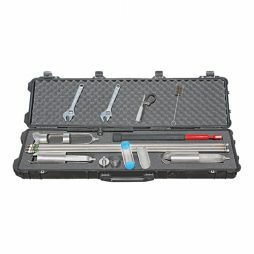 This kit gives you the ability to auger in most materials up to 3.6m and then collect a soil core sample. Hand auger kit includes a Standard type Regular, Mud and Sand Auger plus an AMS Core Sampler with slide hammer. 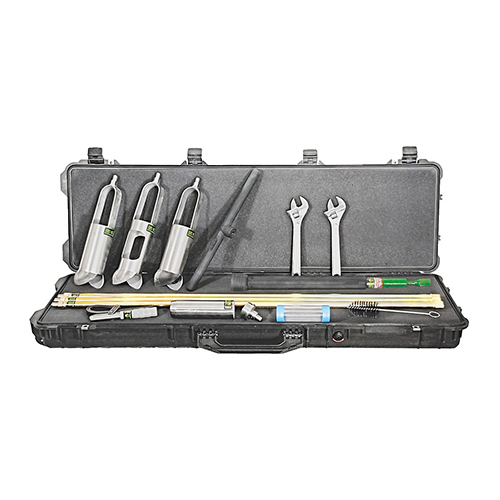 Included accessories are three 1.2m extensions, cross handle, cleaning brush, 2 crescent wrenches and slip wrench all contained in an AMS Deluxe storage and transport case. 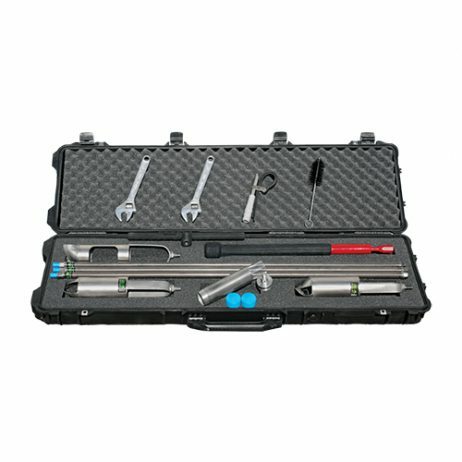 Two sizes of kit are available, 3 1/4 inch (8.3 cm) augers with 2 inch (5.1 cm) Core Sampler and 2 1/4 inch (5.7cm) augers with 1 1/2” Core Sampler. Quick connect is not available with this kit. Use of the augers for accessing the sampling point at depths of up to about 3.6 m with the supplied extensions and AMS slide hammer. The sample may be collected within a removable retaining cylinder (liner). Plastic end caps are included. AMS Soil augers are designed to rapidly remove soils of all types, using the specially designed bits on the Regular, Mud, and Sand models. The auger tips are tungsten carbide hard surfaced and heat treated before sharpening. The core sampler features a heat treated coring tip on the cylinder and a threaded end cap. All attachment couplings are signature series threaded. For your convenience, all the items necessary for accessing a sampling point and then taking a sample are included. AMS soil buckets are the most efficient available in terms of effort required and speed. The AMS Core Sampler allows immediate core examination or a sample may be collected in a retaining cylinder for later use. Assemble the chosen soil auger with an extension and cross handle. Place at the desired angle on the soil surface and turn three revolutions, or until full. Lift carefully from the hole and empty from the bail by tapping the cross handle on the ground. Repeat until the sampling depth is reached. Assemble core sampler to an extension(s) and slide hammer. Place in the hole and mark the extension six inches (5.1 m) above the soil surface. Use the slide hammer to drive in the sampler to the mark and carefully remove. Disassemble, remove the liner and place the cap on each end. 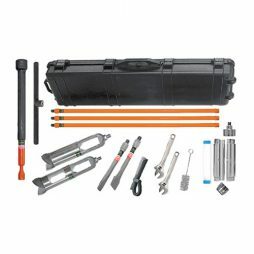 AMS professional soil sampling kits are designed for soil sampling professionals who want the strongest, most durable connection on all of their new and improved augers, extensions, cross handles, slide hammers, and split-core samplers. They are AMS’s newest and most impressive soil sampling kits to date.